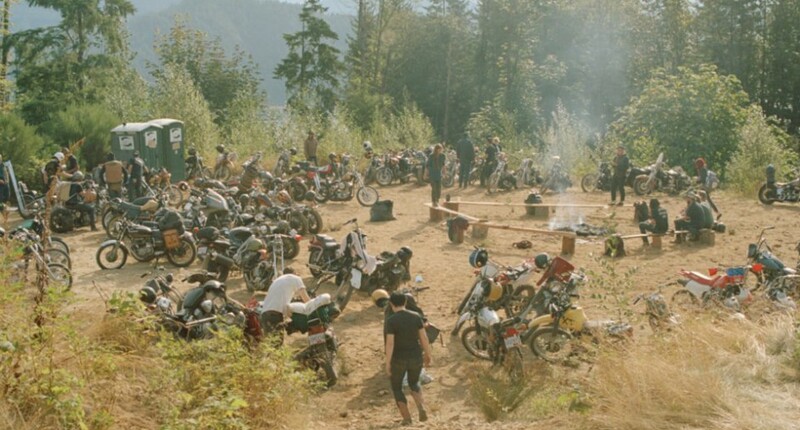 I’ve been trolling the internet for some time gathering rad vintage photos of women ripping on their motorcycles or working on motorbikes. I generally try to avoid posed photos unless I’m feeling fairly confident that the woman in the photo owns it. So, when I was exploring a wikipedia entry of the epic Dakar rally race from Paris through Algieria to Dakar in Senegal, I was pretty excited to see mention of a woman champion named Jutta Kleinschmidt and had to explore! In 2001 Jutta won the competition outright driving four-wheels (sponsored by Mitsubishi), as the only woman ever to do so, but what I discovered was that she had originally done the rally on her motorcycle back in 1988, and the photos made my heart soar! Her cross-country rally racing began in 1987 when she entered the Pharoah’s rally in Egypt on her BMW. 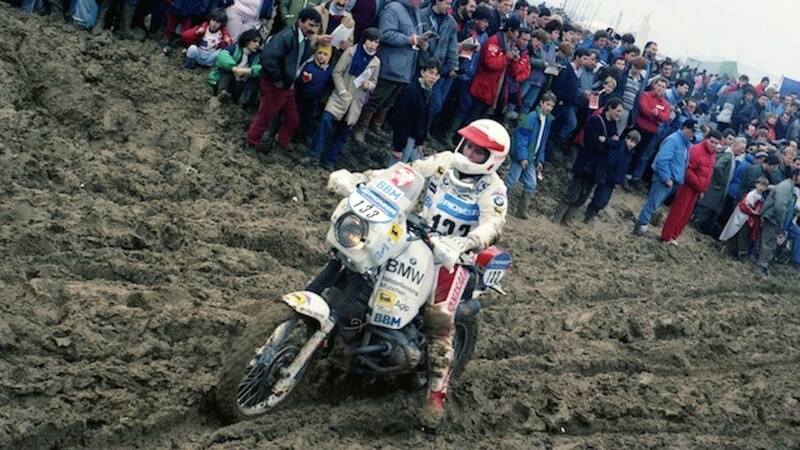 In 1988 she competed in the Paris-Algieria-Dakar rally along one of the most difficult courses set in the Dakar history that included some tragic deaths. On her website I was so pumped to see action photos of her blasting over the dunes and just looking solid on her bike. While she didn’t complete the course that year, she took 22nd place in 1994 on her motorbike. After 1994 Jutta switched to cars, and on January 13th 1997 she became the first woman to win a “stage” of the race. She claimed ten more stage wins, and then became cross-country rallying’s most notable female competitor for winning the whole rally. 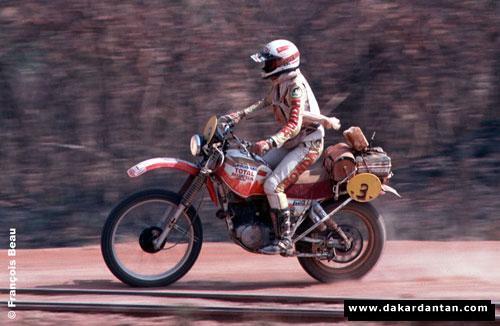 There had been women motorcycle competitors before her, with several French women competing in the original Dakar rally back in 1979 (including Martine de Cortanze, Marie Ertaud, Christine Martin, Martine Renier, Pascale Guerie, Corinne Koppenhague, and Marie-Dominque Cousin) and more women riders to follow in those early years (such as Nicole Bassot, Marie-Claire Bassot, Anne-Marie Lecomte, Nicole Maitrot, and Veronique Anquetil). Some of the best results from those early days for women included Christine Martin taking a 10th place in 1981, Nicole Maitrot held 14th place in 1982, 15th place was scored by Marie Ertaud in 1983 and by Véronique Anquetil in 1984 (with 4th place finishes in stages 4 and 5), and Martine de Cortanze in 19th from 1979. De Cortanze was quoted as saying, “My first contact with the desert was a love contact. I wasn’t scared, I wasn’t frightened. I had nothing negative. 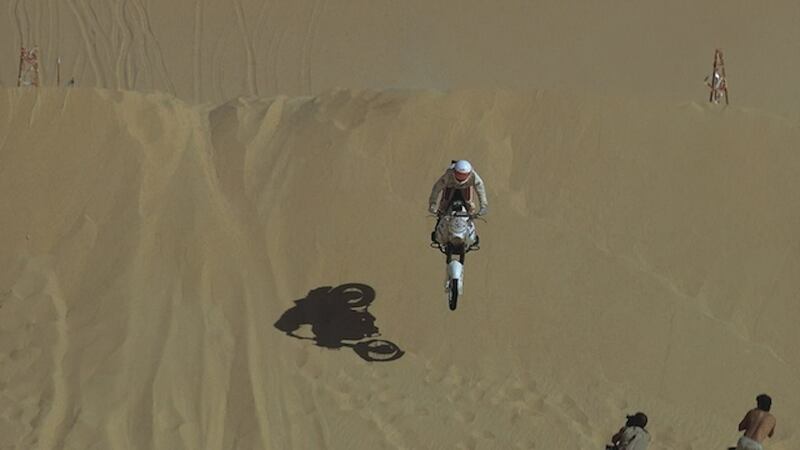 I was happy, happy, happy doing it!” (in the BBC Documentary – Madness in the Desert: Paris to Dakar). There were many years of attempts and frustrations, highs and lows considering sand storms, exhaustion, injuries, mechanical failures, and grueling courses. In 1988, besides Jutta there were two other fresh competitors being Patrizia Wolf from Italy and Patricia Shek from Germany. While none of them finished that year, it definitely gave them a taste for the race and Wolf completed it in 1989, and Shek finished in 1990. Throughout the 1990s (with the exception of 1995, when there were sadly no female entrants) and into the new millennium, there have been many brave competitors in the Dakar. Today we have Laia Sanz from Spain who just accomplished a record placing for women motorcyclists, coming in 9th in the 2015 Dakar rally – as well as being the 13 time Women’s World Trials Champion.